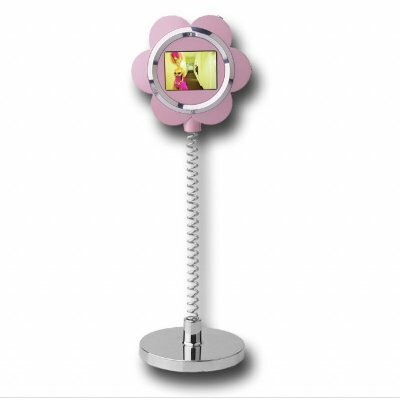 Successfully Added Flower Digital Photo Frame - 1.1 Inch LCD Screen to your Shopping Cart. Mini Digital Photo Frame, built in the design of a pnk flower, and coming with a full color 1.1 Inch LCD Screen to display your photos. This is a great little gadget to liven up any desk. The Photo Frame is attached to the base by a spring for lots fun movements whenever it is touched. Also featured is 8MB of internal memory, a good resolution of 96x64 pixels, easy uploading of pictures, and an included CD with conversion software for other pictures than JPEG. Make your home or workspace that much more lively for a low wholesale price that Chinavasion can offer..